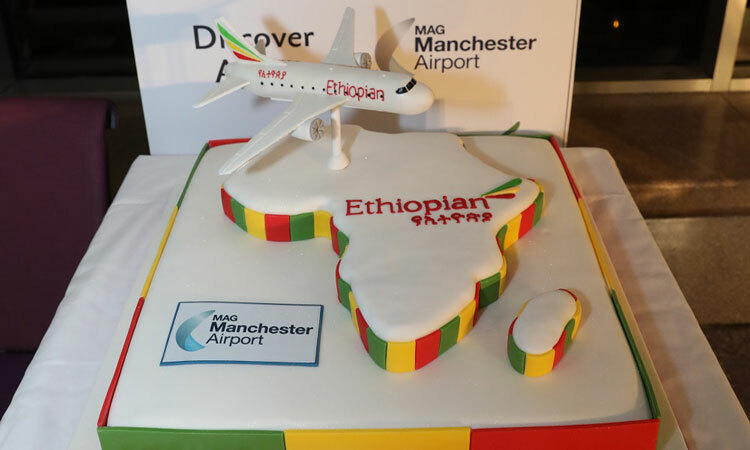 A landmark route into the heart of Africa has taken off from the North, underlining Manchester Airport’s pivotal role in connecting the North to the world’s most important markets. Ethiopian Airlines’ inaugural flight to Addis Ababa will leave the UK’s third largest airport 100 per cent full and will unlock more than 60 connections across Africa. The four times a week service is set to benefit 400,000 people across the North who currently access Africa via other means. A celebration to mark the first flight was attended by Jeremy Lefroy MP, the Prime Minister’s Trade Envoy to Ethiopia as well as hundreds of guests from across the region. The new service has been welcomed by Northern businesses and organisations who will benefit from reduced journey times, unlocking vital economic, trade and investment opportunities. The route opens up 60 seamless connections across Africa including South Africa, Zimbabwe, Kenya and Tanzania. The route launch comes after a strong month of growth for the UK’s third largest Airport. A new service to Mumbai started as the airport welcomed more than 1.85 million passengers through its three terminals in November 2018 – an increase of seven per cent year on year.